Step 1 - A hybrid battery is different than a conventional car battery in respect to its composition and application. Where as a typical non hybrid battery has six cells submerged in battery acid, the hybrid battery is comprised of many cells which are created as a dry cell submerged in die-electric gel or silicone. Step 3 - A controller or computer is used to manage voltage and amperage, input and output of the battery. 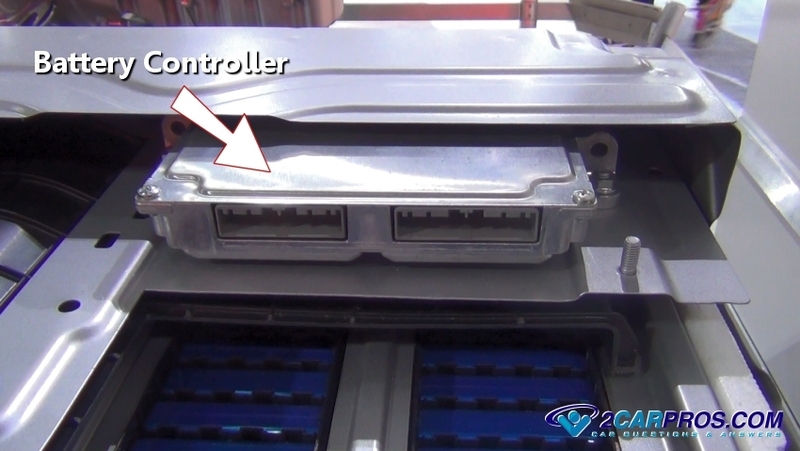 This controller shares data, and is managed by the vehicle main computer system. Step 4 - Because of the severe duty the battery is subject to, ventilation is essential to battery operation which allows heat to escape. 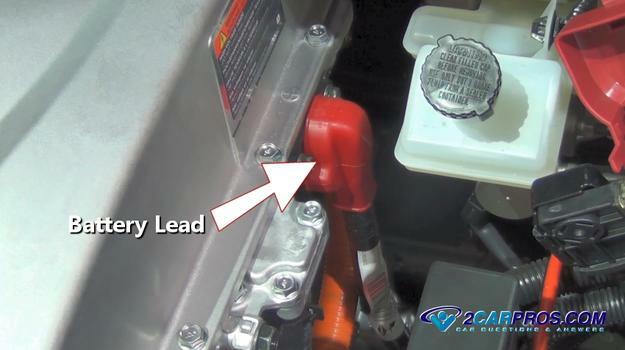 Step 5 - The main battery leads are designated by red, orange or light blue coverings, these leads connect to various parts of the drivetrain and electrical system. 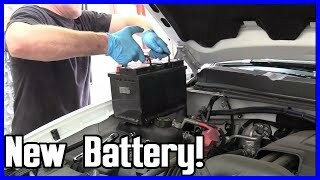 Step 6 - The battery is charged by a combination of engine power and brake inertia which is then converted to charge voltage by the hybrid motor located inside the transmission. 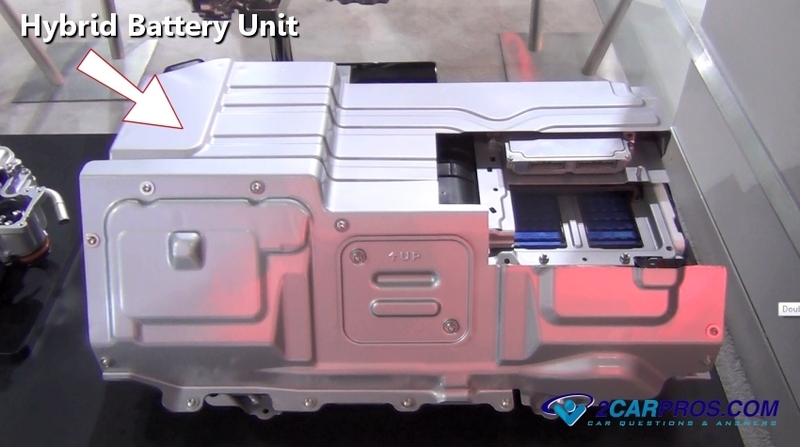 Step 7 - Manufactures have developed many interrogation configurations into their car designs, this battery is made into the floor of the vehicle. 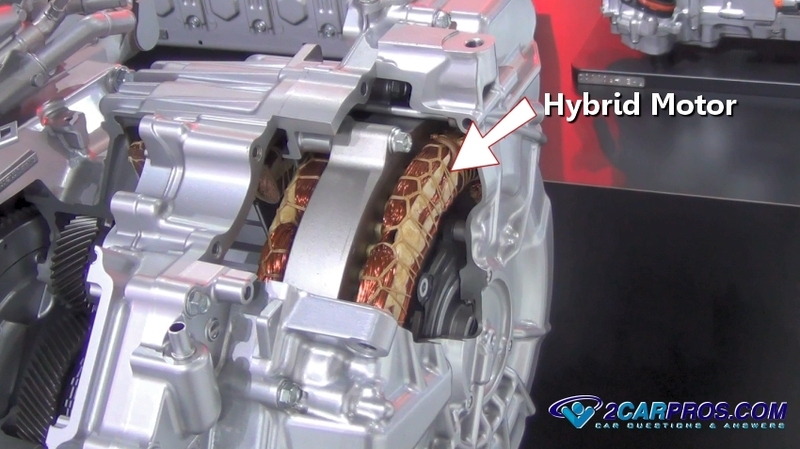 Because of advancements in the hybrid auto industry, goals of higher gas mileage are realized. These advancement include overcoming the problem of being able to quickly recharge the battery. Additionally, the rate in which the battery was charged, is directly related to how long the battery charge would last. Lithium-ion batteries addressed this issue by allowing an accelerated rate of charging without damage to the battery. 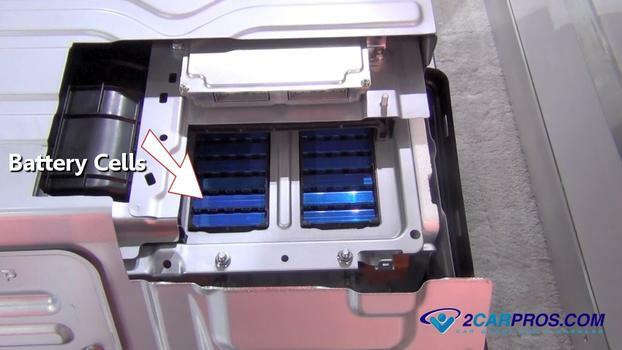 The internal parts of the hybrid battery consist of an electrical framework which distributes electrical connects throughout the battery unit. The battery aftermarket industry produce an extra life battery pack designed to replace the original battery pack which enables longer lasting, faster to charge units. 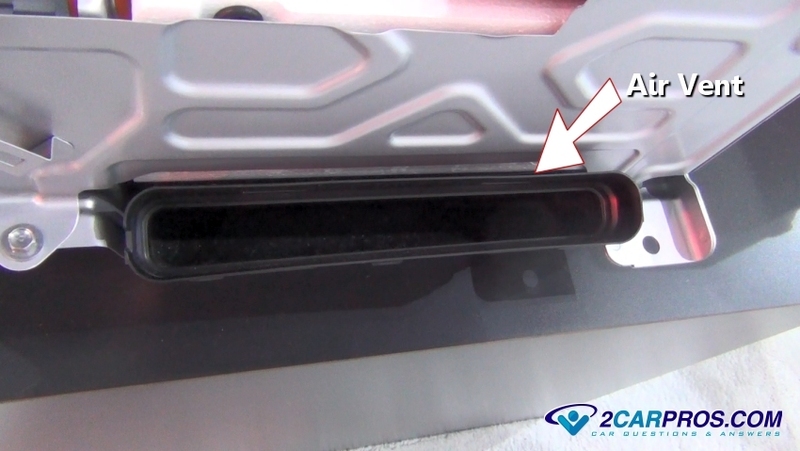 A quick-change battery mount design is beneficial for the charge station service which enable long distance travels by replacing the battery pack with a recharged unit. First generation hybrid batteries have a cobalt oxide cathode material which made it more vulnerable to fire and explode, this was known as the thermal runaway effect. To defeat this condition manufacturers have now replaced the cobalt metal with phosphate, which provides the same charging power, energy storage and cause less harm to the environment. 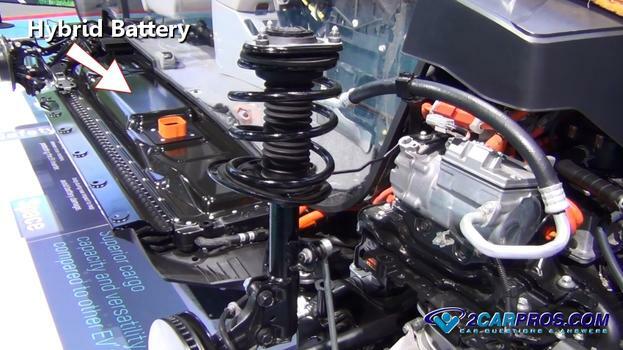 Manufacturers recycle many of the components of the battery, parts are disassembled and divided into categories, plastic is shredded, metals and fluid extracted. The remainder of the contents is neutralized before sent into landfills.